Having fun after a long work week in the nightlife, indulging in a long shopping trip on a Saturday afternoon or simply eating out again – these are all things that not only the top ten thousand in Switzerland would like to treat themselves to. Even those who can not spend the money with full hands should be able to enjoy lifestyle offers at will. The casual card helps. 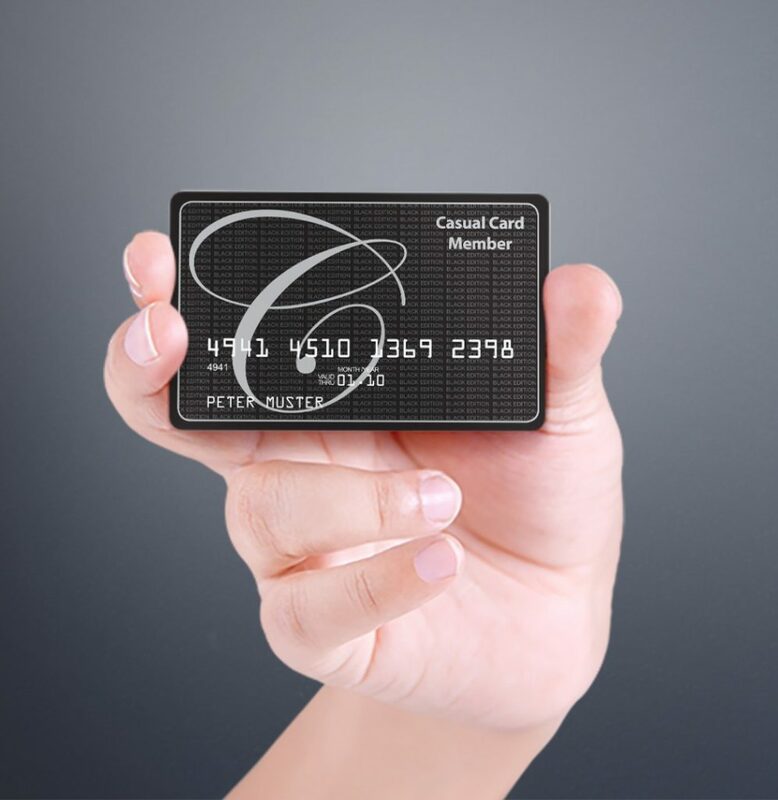 The Casual Card is a Lifestyle Card that offers discounts on various lifestyle offers in Switzerland. Whether going out in the evening, culinary delights, shopping, fashion or holidays – holders of the practical Lifestyle Card get rich discounts, free entries and extra services from the numerous partners of the Casual Card. But the casual card partners are also benefiting: companies in Switzerland are increasing their customer frequency and, of course, their sales. They also have the opportunity to advertise in “First the Magazine”, the lifestyle magazine of the Casual Card. To ensure that every consumer has the right offer, the Casual Card comes in three variants. The Casual Card Purple Edition is the right lifestyle card for young adults aged 16 to 18 years. It is free of charge and offers price advantages for selected partners such as restaurants and bars, fashion boutiques, video stores or fitness studios in Switzerland.Free entry to various clubs is also possible with the Casual Card Purple Edition. The Casual Card White Edition is the lifestyle card for high demands. For CHF 399.00 a year, she not only grants rich discounts with the partners of the Casual Card, but also guarantees a place on the guest list in selected clubs. If it’s about more luxury, more glamour, more exclusivity, the Casual Card Black Edition is the perfect choice. For 2000 $/Year, the owner of this Lifestyle Card becomes a true VIP. He benefits from all the advantages of the Casual Card White Edition, but also enjoys privileges like other actors and supermodels. Anyone who calls this casual card owns free admission to all the clubs affiliated to the “Black Card” and is of course always placed in the VIP area. The valet parking in front of the establishment and many other special services are also included. Furthermore, users of this lifestyle card option will receive privileged services in first-class hotels close to their respective clubs – not only in Switzerland. The VIP services for users of the Casual Card White Edition and Black Edition are very extensive. The Casual Card offers, for example, advice and booking service for trips and excursions. The casual card employees also like to carry out price inquiries for cardholders, thus ensuring that over-expensive purchases are now a thing of the past.Even if a gift for a dear person is missing at short notice, the VIP service of the Lifestyle Card helps. Users of the Casual Card Black Edition receive a special extra of luxury for all these services. The 24-hour concierge service provides car hire, chauffeur or shuttle whenever needed. Travel and leisure activities are also planned by the concierge service exactly as the owner of the Lifestyle Card wishes.